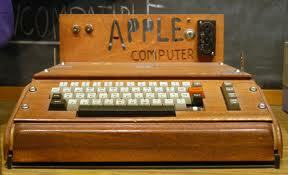 They are the first Apple machines ever built. So new, in fact, that they were built inside Steve Jobs’ parents garage back in 1976 when the company was little more than a vision trying to be turned into a reality. The computer was sold along with the original owner’s manual and a signed letter to the original owner of the machine, Frank Hatfield, from Steve Jobs. Only 200 Apple Is were ever made. About fifty, forty-four broken systems in addition to the six working systems, are expected to still be floating around the world. The other hundred and fifty were junked or scraped by their respective purchasers. If you happen across one at a yard sale, I highly suggest you pick it up.